For the past few years the United States has been experiencing summer temperatures like never before. It seems as though we've got another year of 100 degree temperatures and it doesn't look like it's going to end any time soon. So what does that mean for your skin, hair and your body in general? If you�re like most people I've talked to, you really don't want to know. 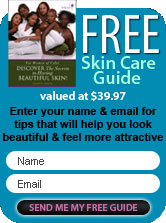 The thought of how to care for your skin in particular seems to overwhelm you. But let's not act like the children we can sometimes be and handle the heat with a rational mind. How do you begin to take , hair and body as a whole? Keep your body hydrated. Drink plenty of water. Not only will it take care of the constant thirst but your cells will thank you for it. Keep your skin, hair and body clean. Removing excess dirt and grime will keep your skin, hair and body healthy. It will keep your pores open and breathing through the trauma of the weather. Wear clothing that allows your skin to breathe. Light weight cottons, linens or a combination of the two will protect your skin from the elements. Have a sunscreen for your skin and a moisturizing conditioner for your hair. Your regimen should be one of a full body approach. With heat comes perspiration and with perspiration comes loss of fluid. Al the more reason to hydrate and stay moisturized. Nutrition plays an important part in body heat and the health of your skin and hair. The lighter the foods you eat the less your body has to work to digest it. Typically the lighter the foods you eat they healthier they are. Don't forget hair removal from certain body parts, armpits and other personal areas of your body. For some of you, a lot of you, It holds heat and odors. Having to deal with heat is no joke and your skin and hair doesn't escape its wrath. Dull lifeless skin and hair can often be the result of too much heat. Remember your skin and hair can be burned from this abundance of heat and it will not necessarily show up right away. Melanated skin doesn't immediately show the type of damage your skin can go through. It happens slowly. With the heat being so intense learn to protect your skin, hair and full body. Keep cool and stay hydrated.